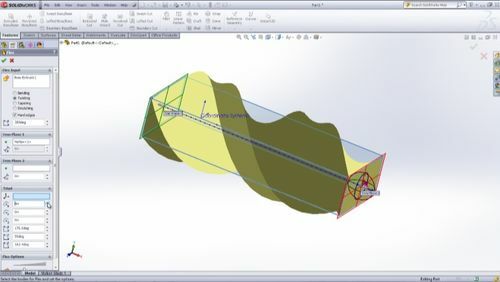 This video covers the SolidWorks flex feature which allows you to deform bodies in complex ways. The details of how to use this feature as well as the 4 different flex types are shown. The four flex types are, bend, twist, taper, and stretch. With the flex feature, the user has the ability to control where the center of the feature is located, what part of the model is affected, as well as the extent of the flex feature. I hope you find this video helpful and try using this feature in your next model. Roger Jones on The most wonderful time of year…Back to School! !